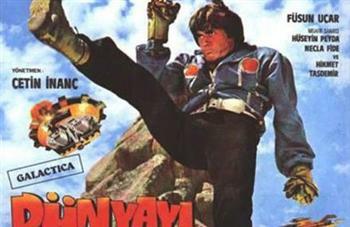 The cult Turkish film, “The Man Who Saved the World” – which is often “hailed” as one of the absurd movies of all time – will soon be going in front of American audiences with English subtitles in California. The film will be shown Oct. 29 at select California theaters, according to the 1982 film’s director, Çetin İnanç. 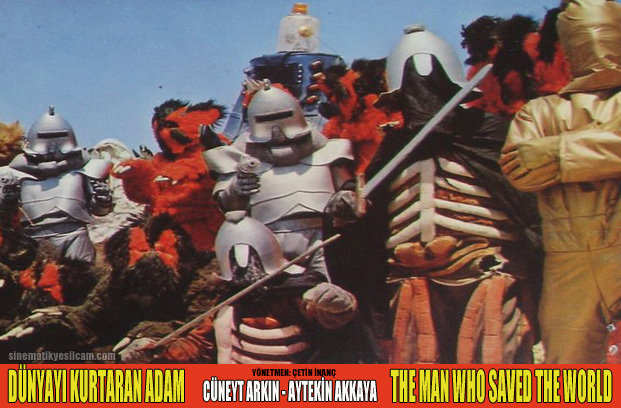 Often known overseas as the “Turkish Star Wars,” “The Man Who Saves the World” (Dünyayı Kurtaran Adam) gained infamy for its incoherent plot, poor acting, poor special effects and unabashed stealing of scenes and music from the original American “Star Wars.” The story follows two heroes, Yeşilçam legend Cüneyt Arkın and Aytekin Akkaya, who set off on a journey through space in their spaceships to protect the world against unknown powers. Later they, crash-land on an alien world (Cappadocia) that is ruled by a malevolent, wizard.